I thought I’d write a quick post regarding the All-Star break. I stayed Sunday night in Houston and took the bus to the airport Monday morning for my flight back. I left Houston at 10:30 am, connected in Atlanta, and arrived in Milwaukee at 3:30 pm. I drove right back to Madison and spent Monday, Tuesday and Wednesday relaxing. It was nice spending some time with Victoria and Prince. I swear he was clapping when Prince won the home run derby, and said “meow that was a bomb” after one of Fielder’s blasts. 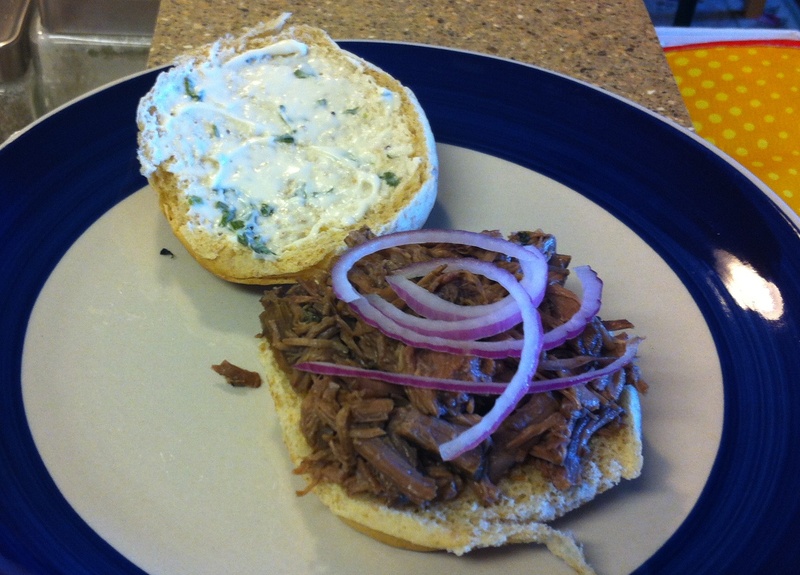 On Monday night Victoria made roasted and shredded beef sandwiches with horseradish mayo. She’s made them before and they’re amazing every time. I’m one lucky fella. 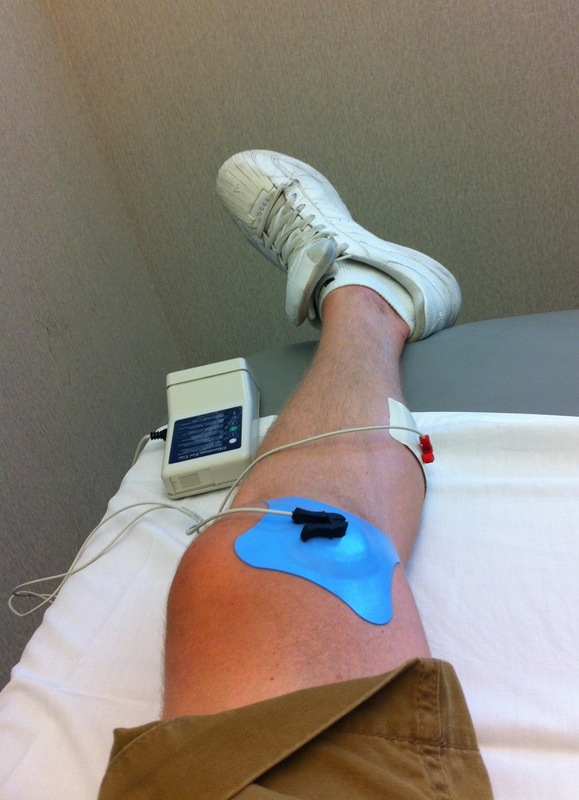 On Tuesday I had a physical therapy appointment, and they did an Iontophoresis treatment. It involves using an electric charge to deliver medication, in this case a steroid to try and help with the pain in my knee. It’s nothing crazy, and it just feels like some pins are poking you when they have it running. Tuesday night I watched the All-Star game, and it was nice to see Braun go 2-3 with a double and a triple. Atta Boy!!! On Wednesday I went into my former workplace to say hi to some familiar faces. Pam and Steve, who came to two separate games in June, joined me at a Happy Hour at Legend’s Sports Bar & Grill. 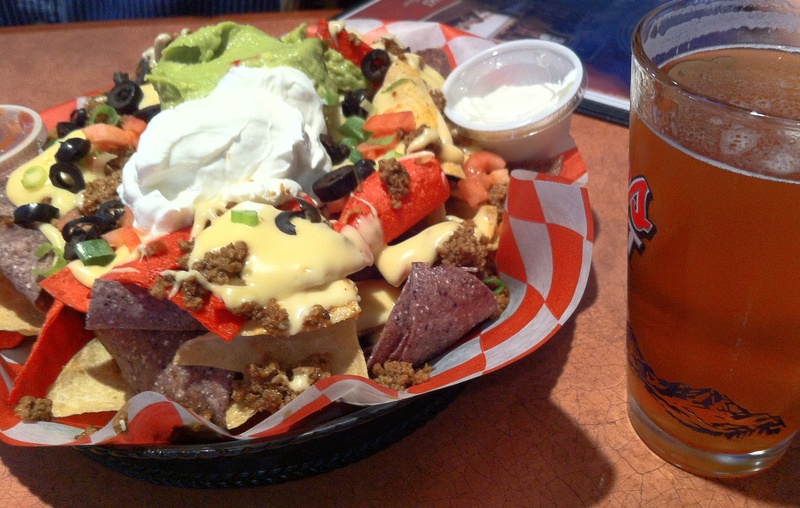 We had a beer and some nachos. Delicious. 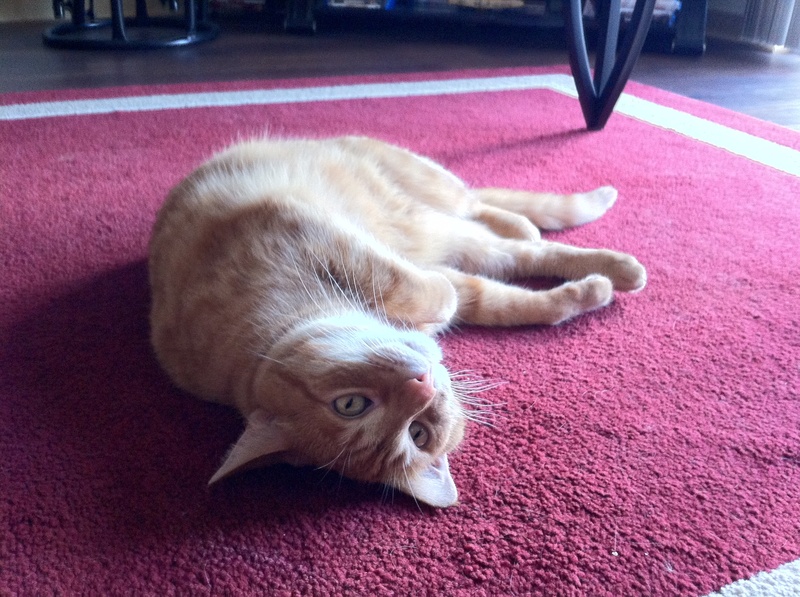 On Thursday I had another physical therapy appointment and then headed back to Fort Atkinson. My friend Dustin, who came on the Phoenix – Los Angeles trip with me, was in town and we hung out. The Fort Generals (a home talent league baseball team) had a game at Jones Park. It’s arguably the best non-professional baseball park in the State. I might be biased in that but I believe Sports Illustrated did a piece on it a few years back. I’m not sure what year (it was probably the 1920’s) but the Green Bay Packers played an exhibition game at the park. Good stuff. $1 hot dogs and $1 beers are always on the menu, so if you’re ever in Fort Atkinson I suggest you make a visit. 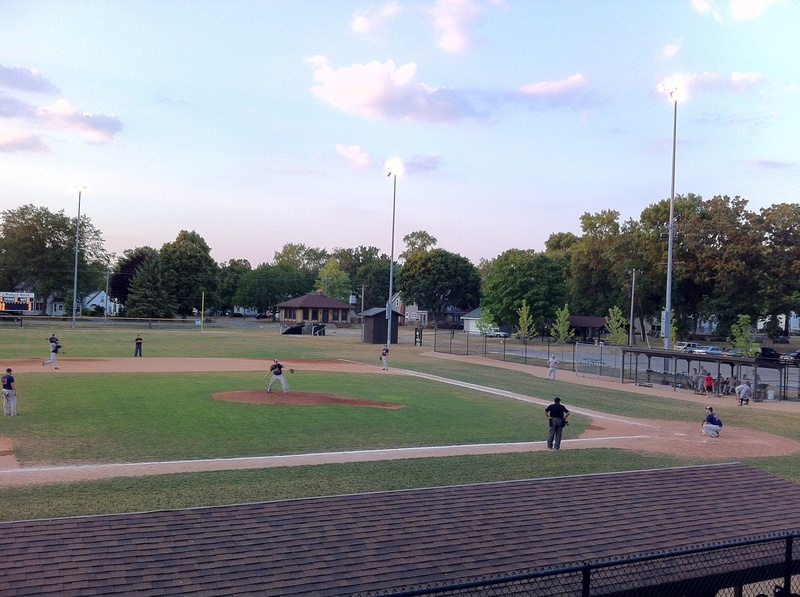 Jones Park is on Janesville Avenue, just south of downtown. 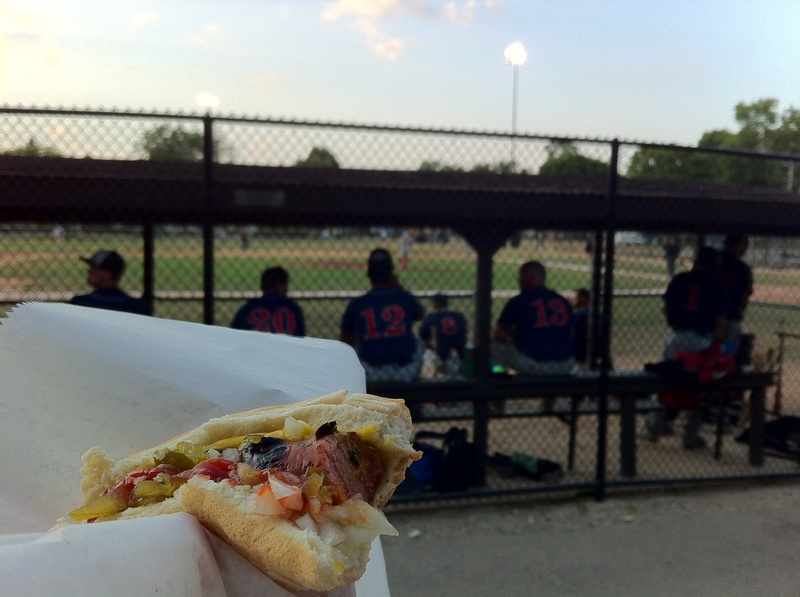 This was the hot dog I got, and you can see my friend (number 12) in the background. His name is Josh and he plays shortstop and pitches for the Generals. He’s come to a few home games this year with me as well. I just remembered that I took a picture of Josh making a sweet play back in 2010. It just might be the best picture I’ve ever taken. 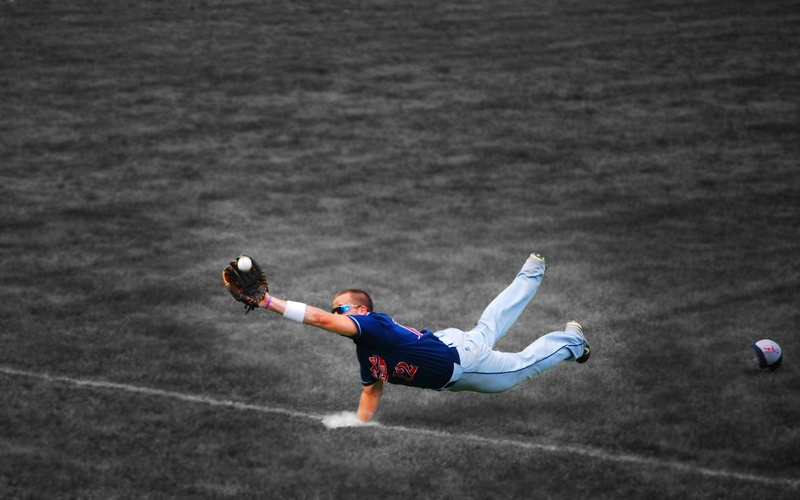 I happened to have my camera out when they were in the field, and someone popped one down the left field line and he made an amazing catch. They have a large concession stand and upstairs is the announcers booth. Outside is a nice standing room spot; not bad at all. The field might not be in the best shape, due to the record temps and lack of rainfall, but it’s still a nice place to play/watch a game. I’m about to leave for game number 86, and the start of the “second half”. The flight back from Houston put me over the once-around-the-world tracker, so that’s pretty cool. We’ll see how close I come to making two trips around. Distance as % of Earth’s circumference: 101.51% (25,276.5/24,901) Woot Woot!